Imagine you are driving home minding your own business when suddenly a car runs a stop sign and smacks your car broadside. You are confused, dazed and shocked about what just happened. All of a sudden you are surrounded by people, police officers, and medical personnel. You end up giving a statement to the investigating officer and then go to the hospital to be checked out. Although you were not at fault, you become – in essence – the victim of the car accident! Why? In the state of Ohio (as is in most states) even though you are not at fault, you must prove your case by a preponderance of the evidence. That means you must provide evidence that you were not at fault and that the injuries you claim are directly and proximately caused by the other driver. Ohio is a fault based state, which means you must prove the tort of negligence. Neither the other driver nor their insurance company have to do anything! In theory they could wait for two years at which time, if not filed, you would lose your right to sue the other driver. You have no contract with them, thus you are the victim of the car accident You did nothing wrong. This is why having an aggressive and proactive personal injury attorney in your corner is critical. Our team of lawyers begin by diligently documenting every aspect of a personal injury case from start to finish. We send representation letters, obtain medical records and bills, handle reimbursement of outstanding medical bills, send a demand package to the adjuster, negotiate settlement and handle the disbursement of the settlement funds. If the case does not settle, then again – as the victim – you will discuss the filing of the lawsuit. That will include costs which will be your responsibility. Personal injury cases are complex from start to finish, and you often will need help. If you’ve ever been in a car accident, you know all too well how debilitating and traumatic the experience can be. The road to recovery can be long and arduous, and dealing with the insurance companies involved only make the situation that much more difficult. 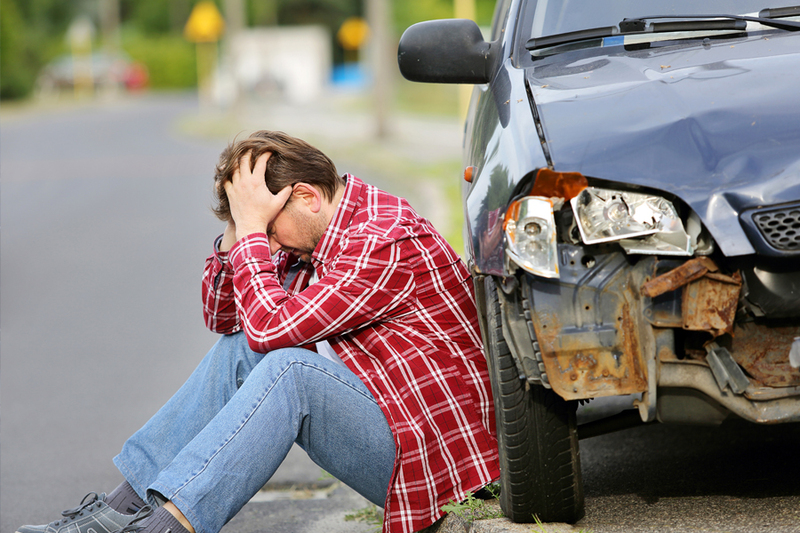 Make no mistake, a car accident claim is a complex financial and legal process. Getting to successful settlement for your car accident takes attention to detail, persistent focus and zealous advocacy. A skilled personal injury Attorney knows insurance law, policy exclusions and liability statutes. Most importantly, the statute of limitations for car accidents in Ohio is 2 years. This means that a claim must either be settled, or a lawsuit filed, within this period of the victim can lose the right to recovery. This only increases the need to obtain competent counsel promptly after your car accident. you haven’t provided sufficient documentation to support your claims of loss. Sometimes it may argue both points with you. Knowing these tactics in advance of pursuing a claim is vital to success. Most issues that arise in the processing of a claim can be avoided by diligent and attentive documentation. The unfortunately reality of a car accident is that it can have a devastating financial impact on your life. If you’re injured in a car accident in Ohio, you will incur medical expenses for the treatment of your injuries. The average car accident in the United States is estimated to cost tens of thousands of dollars per accident. For a serious injury in a car accident, the medical expenses can be in the hundreds of thousands of dollars. Of course, the most important thing if you were in a serious car accident in Ohio is to obtain the medical treatment you need to ensure you return to the best health possible and can continue your life. It does beg the question, however, as to how these medical expenses should get paid? Most people have both private health insurance, as well as some coverage under a car insurance policy for medical payments (called “medpay” for short). It’s important to note that health insurance may not cover the entire cost of your medical expenses and this often leaves a bill that needs to be paid out-of-pocket by the car accident victim. While the medical expenses you pay out of back should be paid back out of any compensation you receive, it can be burdensome for car accident victims to pay this cost upfront while awaiting the potential settlements of their claims. In such circumstances, it can be an effective option to exhaust “medpay” benefits under an applicable insurance policy before utilizing private insurance. This is possible because “medpay” benefits under automobile insurance policies will cover the entire amount of the medical bills until the policy limit is exhausted, allowing car accident victims to avoid the necessity of big out of pocket expenses. At Sawan & Sawan, We Fight for Victims of Car Accidents! The American Legal system exists, in part, to ensure that all members of society conduct themselves in a reasonable and responsible manner. These standards are often referred to as “duties” in the practice of law. Despite this aim, the reality is that the negligence of another often leads to serious injury or disability. Often times, when this happens, an insurance company will deny coverage as a matter of course. Other times, a negligent party will refuse to accept any responsibility, instead opting to place the blame on the victim. The odds can seem stacked against you and pursuing your rights by yourself can be intimidating and confusing. By retaining the legal services of Sawan & Sawan, you’ll always get strong and intelligent legal advocates helping to pursue the settlement or judgment you deserve. As with most civil actions in the State of Ohio, personal injury claims are governed by strict statutes of limitation. If you wait too long, you may lose your right to seek damages. 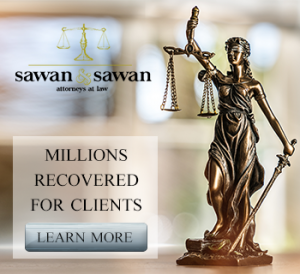 If you have been injured in the State of Ohio, call today for a free consultation and learn how the Ohio injury attorneys at Sawan & Sawan can help.